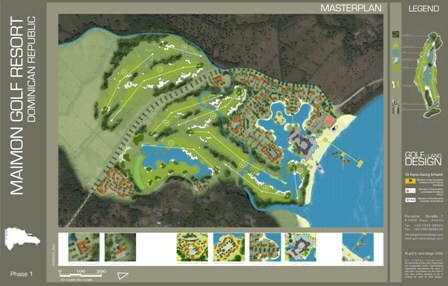 Maimon Golf & Yacht Resort was to be located a few kilometers West of Puerto Plata in the Dominican Republic. Luxury living, apartments with fantastic golf holes, half wet driving range and views towards the ocean. Large hotel in a castle look as a part of the ocean-themed feel of the development.